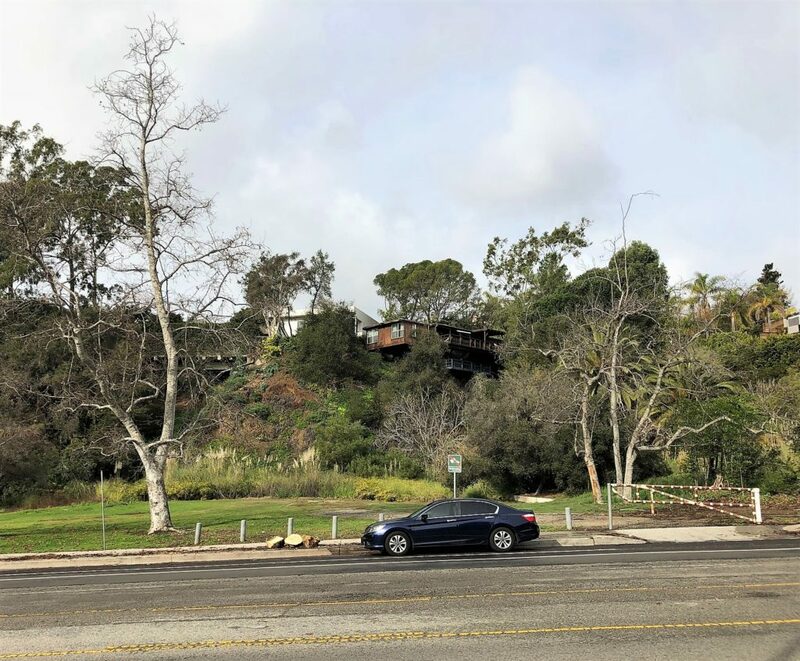 This site along Temescal Canyon Road has been proposed for the relocation of eight garbage bins that service the Rec Center and Temescal Canyon Park and the proposed Potrero Park. The Palisades Park Advisory Board will hold its quarterly meeting at 7 p.m. on April 17, in the small gym at the park, 851 Alma Real Dr. Residents are invited and public comment is sought. The main topic to be discussed will be a report by Raul Leon about the proposed move of the trash dumpsters from the Rec Center’s current maintenance yard to an area below the alternative high school on Temescal Canyon Road. Other topics include: 1) park programs update (Erich Haas and Mike Lee); 2) the Eggstravaganza update for Saturday, April 20; 3) dog park update (Lynn Hylen); and 4) the Veterans’ Garden update (Bob Harter). THE CITY WILL NEED A PERMIT FROM THE COASTAL COMMISSION TO DO THIS.